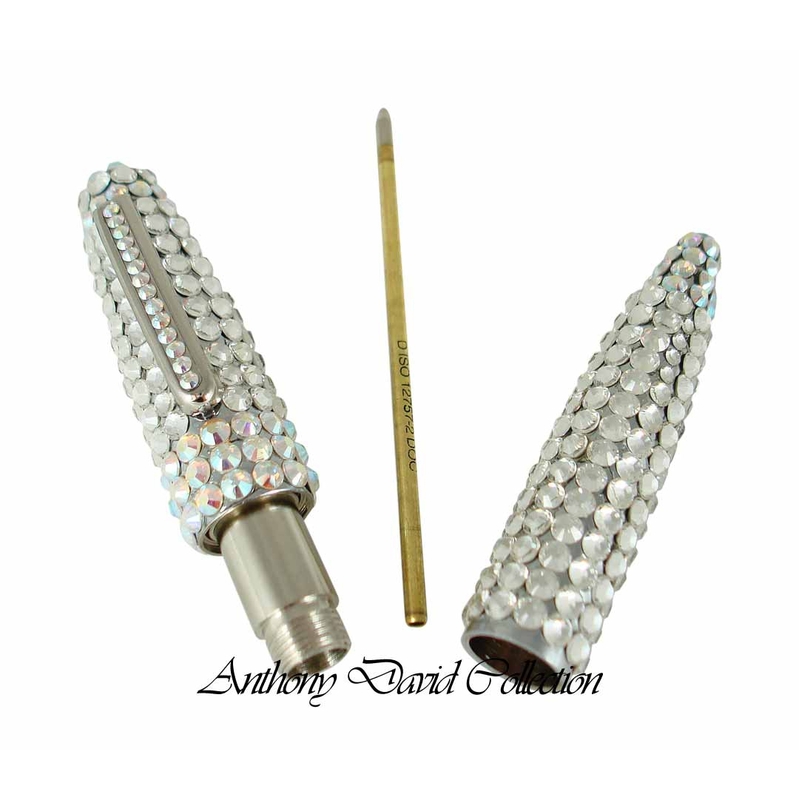 This exquisite Anthony David all metal ball point pen is fully covered with Swarovski crystals. Each crystal is hand set by a skilled artisan; making each design truly a work of art. Fully covered with clear and Aurora Borealis Swarovski crystals. Aurora Borealis (AB) crystals reflect a rainbow spectrum of iridescent colors.